After launching the ABS-equipped Classic 350 Signals Edition last week, Royal Enfield has now updated the Himalayan with a dual-channel ABS system. At Rs 1.78 lakh, the standard ABS variant is priced at a premium of around Rs 10,000 over the non-ABS version. Meanwhile, the Himalayan Sleet ABS version gets a price tag of Rs 1.80 lakh, which is again a hike of around Rs 10,000 over the non-ABS model. (all prices, ex-showroom Pune). But wait! The on-road pricing of the motorcycle has seen a considerable hike due to the recent IRDAI’s (Insurance Regulatory and Development Authority of India) directive. that now makes it mandatory for customers to opt for a five-year third party insurance policy with all new motorcycles. Hence, the on-road (Pune) price of the standard ABS variant now stands at Rs 2.20 lakh. Royal Enfield’s decision to equip the Himalayan with ABS doesn’t come as a surprise since all motorcycle with an engine capacity above 125cc will be required to come equipped with ABS or CBS starting April 2019. In addition to this, RE’s president, Rudratej Singh, confirmed with us last week that the company will be equipping all motorcycles in its portfolio with ABS in a phased manner before the deadline. Expect the Classic 500 or the Thunderbird X range of motorcycles to be next in line for the update. 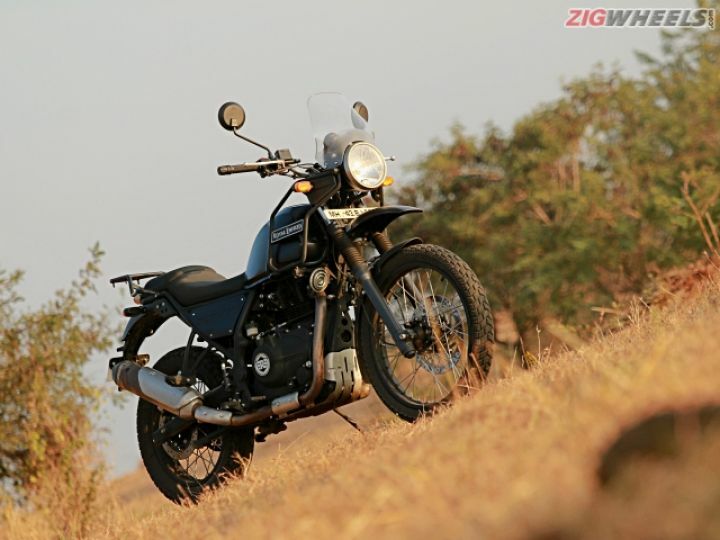 Apart from the addition of ABS, the Himalayan remains mechanically unchanged. It continues to be powered by the same fuel-injected, single-cylinder 411cc engine seen on the standard bike. This motor delivers 24.5PS at 6500rpm and 32Nm of torque at 4500rpm.